Welcome to SearchPartner.pro. 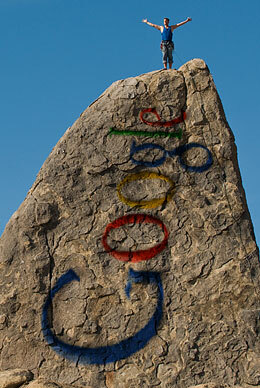 We want to be your partner in search engine marketing and optimizing your website for search rank. SEO and SEM are not rocket science, and they're not black magic. The rules are fairly simple to understand and apply, but being on the first page of search results for keywords important to your business takes work. But don't worry, we're here to help! SearchPartner.pro is a full-service provider of search engine optimization and marketing services. Whether you need to optimize your existing website for search engines, are developing a new website or internet marketing campaign, are trying to understand your competitors' marketing strategies, or are looking for expert copywriting, SearchPartner.pro can help place you and keep you on the first page of search results. You may already have search-marketing campaign in place, but may not be sure it's really performing for you. At SearchPartner.pro, your business is our business. We measure success not by how much traffic we generate for you, or how many #1 rankings we achieve for keywords of dubious value, but by how much we've increased your conversions, because no other metric really matters. We handle the heavy lifting, and you go back to doing what you do best...running your business. So don't be fooled by empty promises. Request our free website analysis and find out how we can help you stop spending and start earning on the web! How does your website measure up? Request your free website optimization analysis today! Searchpartner.pro will analyze your website for free, with an honest appraisal on how to increase your page rank. Just fill out a request to get your free website optimization analysis. ©2008-2019 Search Partner Pro. All Rights Reserved.